The American Booksellers Association announced on December 6, 2010, that ABA-member IndieCommerce websites are now selling Google eBooks™ online. We are now a little over 90 days in, and this post is a review of that program. “In December, Schuler joined a partnership between Google, book publishers and other independent bookstores that allows it to profit from the sale of Google eBooks from its website, SchulerBooks.com. Google eBooks can be read on virtually every mainstream reader device except Amazon’s market-leading Kindle, which uses a proprietary format. Each Schuler store now has a dedicated kiosk to walk customers through the process of purchasing an eBook online. What will motivate a customer to go to schulerbooks.com to purchase an eBook versus the Google ebookstore? Where is the added value? The differentiators? It is apparent that Google eBooks are intended to be run on many devices. If I buy a Google eBook from Schuler, does this mean that Schuler will assist me in accessing and loading the content onto my Android? How about my Nook? iPhone? 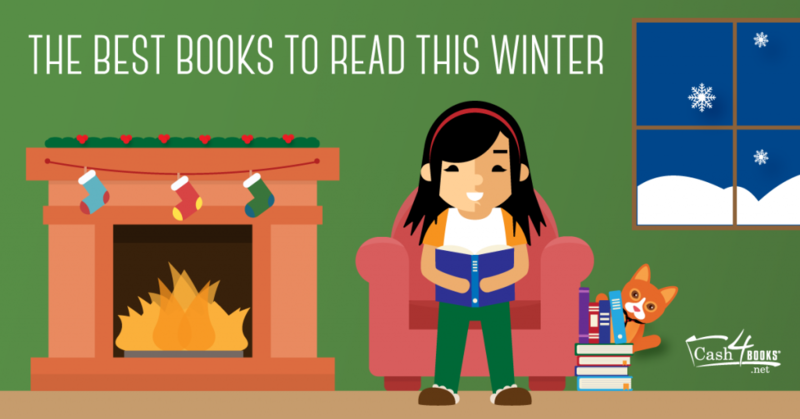 What if I had a kitchen utensil and a Google eBook that I wanted to buy? Would schulerbooks.com be able to handle this? An eBook and a physical book/item in the same shopping cart could potentially pose a serious challenge for a small indie ecommerce website (in my opinion). How seamless is the transition from schulerbooks.com to Google, and back again? Is it a good customer experience? At 3:03, why would I want to read and download my Google eBooks from schulerbooks.com and not the Google ebookstore? Is Shuler going to have an app for that? At 3:07, when Squirrel Seeks Chipmunk opens for reading, it seems to be an odd transition to a very stripped down page. Does schulerbooks.com have the same comprehensive inventory that I would find on Google’s ebookstore? How is schulerbooks.com’s search functionality? Does it actually use Google as a back-end search engine to pull up the results? First I did a few author searches on Schuler. I searched for “Dan Brown” and “Stephen King”…. seemed to work fine. Then I searched for “The Help” by Stockett on Schuler’s Google eBooks tab… nothing. Then I thought that maybe Google doesn’t have that book. I hopped over to Google’s ebookstore and found it right away. The first two were NOT found on schulerbooks.com, and the second two were found. This, along with “The Help” being MIA, leads me to conclude the answer to #7 is NO. 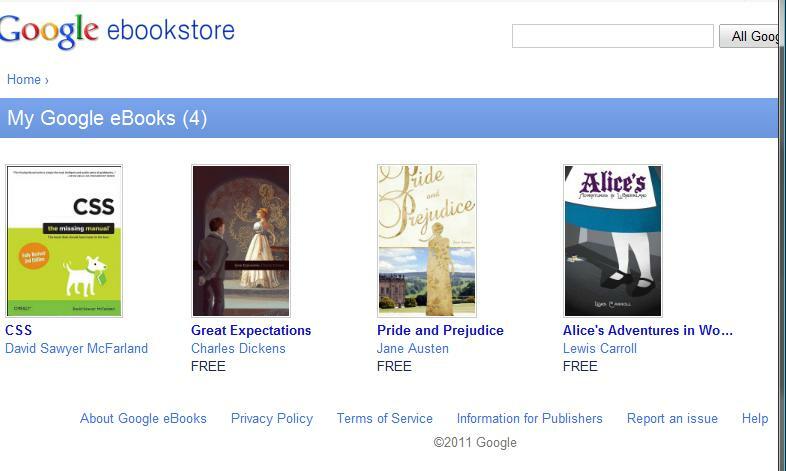 Independent bookstores may NOT have the same comprehensive eBook inventory that the Google ebookstore has. For #8, I simply tested a few misspellings. One of which was “Moonwalking with Einstein” versus “Moonwalking with Einstien“. Google ebookstore correctly found the book I wanted, while schulerbooks.com did not. Google also told me that I spelled it wrong by giving the the classic “did you mean___ link.” The leads me to conclude that Schuler is not using Google’s search power to pull up their search results. They must be relying on some other search engine (which will undoubtedly pale in comparison to Google’s). Background info: I already have four books in my Google ebookstore library: one of which I purchased and three I downloaded for free. The site schulerbooks.com is requesting access to your Google Account for the product(s) listed below. 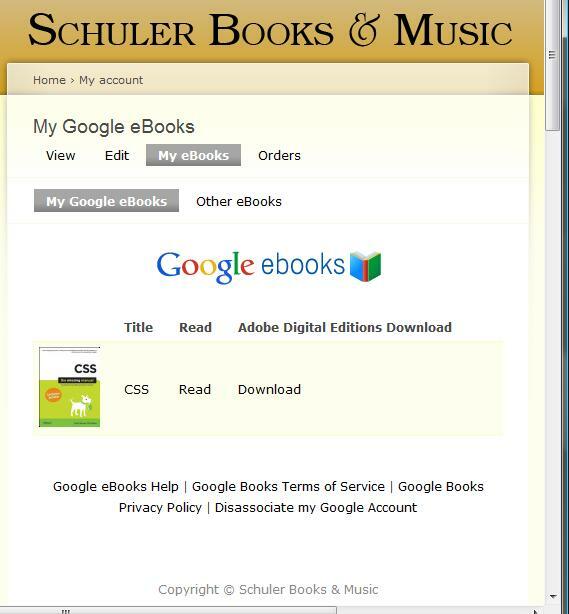 Google is not affiliated with schulerbooks.com, and we recommend that you grant access only if you trust the site. Then I clicked the “Read” link in my Schuler Google eBooks list for the CSS book. I was taken to books.google.com. Where the next problem came about was when I clicked the Back link. Instead of taking me back to the page I was on (my ebook library), it takes me back to the product page for that book on Schuler. Oops. That answers #6. The transition has a problem. We could not add this item to your cart. At this time, Google eBooks must be purchased separately from other products and other eBooks. We apologize for the inconvenience while we’re working to improve this. I was unsuccessful in using my Google account to figure out how to disassociate my Schuler with my Google Account. I did find the location on Google. It says: “Connected accounts – View and manage your accounts from other services”. But after clicking it, Schuler does not show up. Another oops. I finally was able to figure out how to disassociate them only by visiting shulerbooks.com, My Account, My eBooks, and then a link in the footer says “Disassociate my Google Account”. Finally, to answer #1 and #2. Ultimately, an eBook shopper needs an easy way to search, browse, purchase, read, and be supported in this new and emerging technology. So far, this ABA indie bookstore Google eBook partnership model fails on many levels. This seems likely only the tip of an iceberg of failure to me. Why would someone go to an indie bookstore to buy a Google eBook instead of just going straight to Google? To offer their undying love and support of the indie bookstore? Maybe. But, if going straight to Google saves people enough time, hassle, and headache; then there will not be a need (or want) for the indie middleman. For example, there is huge value in Google’s searching and browsing capabilities alone. Many people will simply want the shortest route from point A to point B. Point A is “I think I want to buy an eBook.” Point B is reading your new eBook on one of many supported devices. It is true that you can buy the book at the indie store for the same PRICE as the Google ebookstore–for that, I applaud Google, the publishers, the ABA, and the adoption of the agency model. But, from the consumer perspective, there is much more to this than simply price and supporing your local indie store. This indie model adds layers in between Google and the end user. If these layers do not add enough value to the consumer, they will reject them. Furthermore, if these layers tend to add time and hassle to the process, then more the reason for the consumer to reject them. By layers, I specifically mean the inferior search/browse capabilities of the indie ecommerce websites. Another layer is the eBook library that was missing three of my books. Another layer is the purchase process. Then the reading process… and so on. Additionally, a quick test of a few other independent bookstore websites showed very similar problems, and similar unnecessary layers. In conclusion, the current process of independent bookstores selling Google eBooks was disappointing. The ultimate fate of this Indie/Google partnership remains to be seen, but my prediction is that it is headed for trouble. This entry was posted in Reading and tagged Google eBooks on March 13, 2011 by Jim McKenzie Smith.